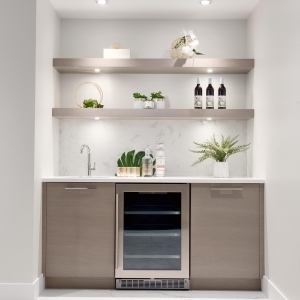 With the correct care, quality cabinetry can last a lifetime — but a working kitchen environment isn’t exactly a hermetically sealed environment; it’s hot, wet, and humid all at the same time. This means understanding how heat and steam affect your cabinets is critical to protecting and caring for your investment over time. The main culprits aren’t always the obvious ones. The sink and stove are the perceived main sources of heat and moisture in the kitchen, but there are always other factors at play in a complex space like a gourmet kitchen. As a general rule, if you’re uncomfortably warm or wet, chances are your cabinets are feeling it too. A wood-friendly environment is the key to maintaining control of the damage done to your dream kitchen cabinets. Steam is a powerful damaging source of both heat and water. This hybrid of nature is the result of extremely hot water having its chemical makeup altered until it changes form. 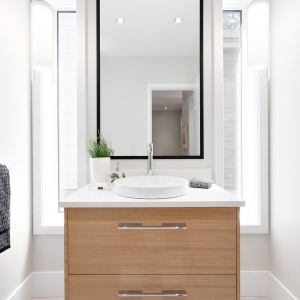 Steam can burn, warp, discolour, and even melt lesser quality cabinetry if it’s not properly managed. Heat from stove tops can contribute to cabinets drying out and cracking prematurely, causing warpage, shrinking, and even splintering. Cabinets installed overtop of gourmet and industrial strength stovetops and cooktops are often at risk of damage due to dry conditions. There are many appliances we use today in our kitchens that can unknowingly contribute to steam damage to your kitchen cabinetry. Some dishwashers feature a side vent to release steam, and this side vent can cause damage to cabinets thanks to its extremely close proximity to base cabinet sidewalls. To correct this from happening, ensure your dishwasher is installed properly and allows this steam to escape free and clear of your cabinets. Self-cleaning appliances are another culprit of heat damage. They emit a huge amount of heat to do their jobs, and because no appliance is truly airtight, intense heat escapes from seals and gaskets and can cause damage to nearby cabinetry and even countertops. Countertop appliances like coffee makers, toaster ovens, pressure/rice cookers, and electric kettles can all contribute heat and/or steam damage to cabinets - as they’re often placed directly below overhanging wall cabinets. Steam from a kettle, for example, can result in steam-burn - a white film that develops on wood, while melamine and thermofoil cabinetry can even begin to melt. Pressure cookers emit a distinctly intense heat and should always be placed underneath a working range-hood or air vent to coax the steam away from wooden cabinets. Lesser thought-of appliances that contribute to steam damage, are microwaves and in-wall refrigerators. Both often feature tilt-up vents to release steam upward which can settle and contribute to premature damage to the bottom of wall mounted cabinets. If these vents are positioned too closely to cabinets, they can also contribute to appliance failure due to insufficient airflow. Humidity from steam and heat affects all types of wood cabinets by causing them to expand and contract as the level of humidity in the room increases and decreases. This temperature swing changes the shape, structural rigidity and even the physical dimensions of wood. These potentially damaging traits are even more pronounced on raw, or untreated wood. If wood cabinets have the chance to absorb the excess moisture in the air, homeowners should do all they can to dry the wood out, either by increasing the airflow to the area before cooking again and helping to circulate fresh air. Use of dehumidifiers and fans are also a good idea in kitchens that generate their fair share of humidity and heat, but nothing will beat good old fashioned attention to decrease or even eliminate lasting damage to quality cabinetry. 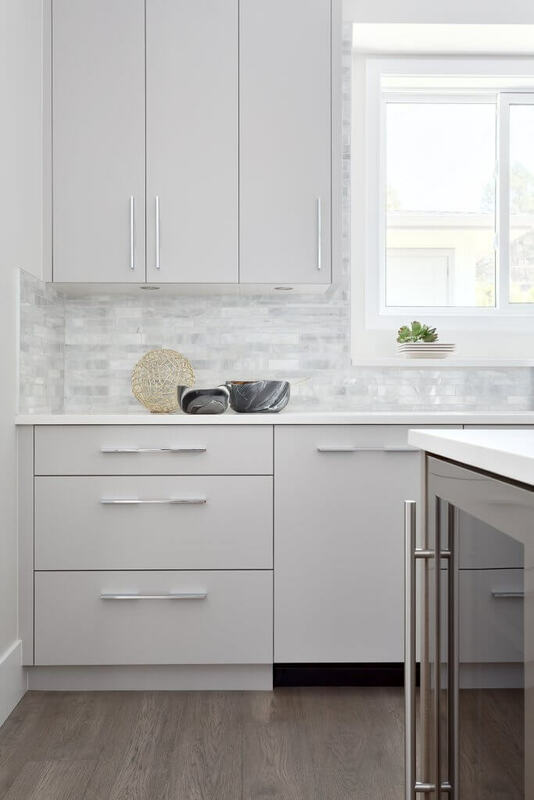 Typically, plywood and sub-quality cabinetry will warp and degrade faster than a quality hardwood, so by investing in a Kitchen Art Design kitchen, you’re already helping your cabinets last longer and perform better than the average cabinet solution. Particleboard, plywood and fibreboard will change thicknesses and joints will inevitably crack and loosen with prolonged exposure to humidity, steam, and heat. Optimal levels of humidity in the kitchen should remain around the 35-50% marker to maintain good control on cabinet damage, and in most cases, once an optimal humidity level is achieved and maintained, signs of damage will lessen or disappear altogether. Alternatively, keeping the kitchen too dry can contribute to premature cracking and solid wood cabinetry. Dry conditions cause wood to shrink and warp - but the same rules apply - restoring an optimal level of humidity will help to combat damage caused by dryness as well. Climate control is key. Air conditioning and forced air heat are elemental in helping to maintain safe and appropriate levels of heat, moisture, and humidity in the kitchen. 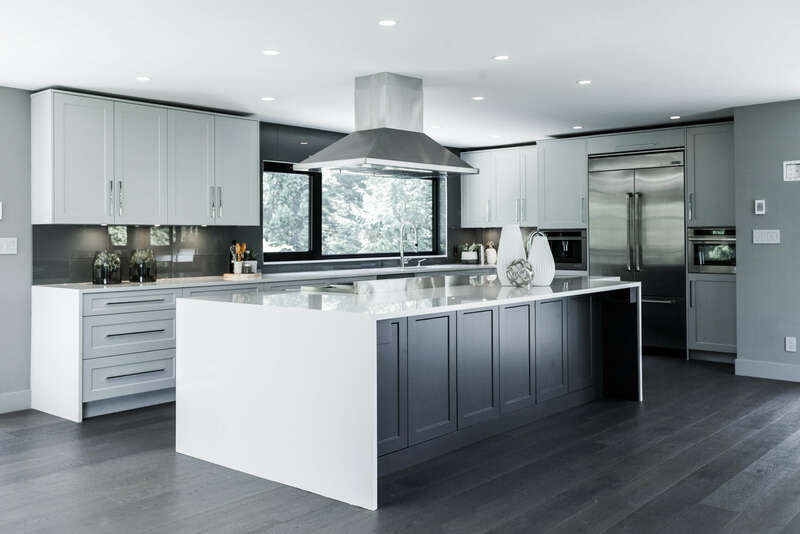 Prior to installing new cabinetry, they should be moved into your newly renovated kitchen space to allow some time for proper acclimatization, especially if the wood is untreated. If this can’t be accommodated, another room in the house with a similar microclimate will help to achieve the same effect. Humidifiers, dehumidifiers, range hoods, and air vents are your friends - if humidity and heat are unmanageable, implementing help from any of these will help to regulate interior temperature.